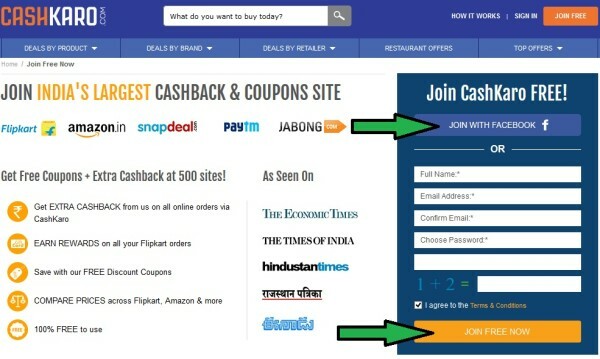 Hello Dealsnloot.com Readers, I Am Back With New Cashkaro Offer : CashKaro Cashback and Coupons website.Through CashKaro you can earn Cashback on retailers you shop at. All you need to do is visit the retailer’s website through CashKaro & shop. It’s that simple. Also Its Giving Rs. 50 Sign Up Bonus .Also You Recharge Our Cashkaro Paytm Link And Get 100% Cash Back In Your Account.So Hurry !!! Grab This Loot. Note - You Receive 100% Cash Back On Rs. 50 Recharge Through Below Link.Only This Link Able To Get 100% Cash Back.And 1 User 1 Time Use Only. 6) And See Rs. 50 Added In Your Cashkaro Account. 11) And Received Rs. 50 Cash Back In Your Cashkaro Account. 13) Its Show Pending But Cash Automatically Approved After 30 Days. 1. Invite your friends and get 10% of their Cash Back / Rewards earnings forever ! 2. 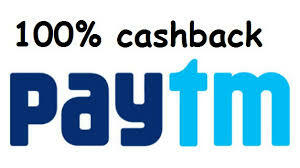 For example, say your friend earned Rs.5000 Cashback / Rewards, you would get Rs.500 as a referral bonus from cashkaro. 3. Minimum to Redeem is Rs 250 via Bank Transfer. 4. After Friends Purchase only you will Earn Money online. CASHKARO.COM CREDIT TRANSFER IN YOUR BANK ACCOUNT,PAYTM & OTHER WALLET ALSO REDEEM AMAZON GIFT VOUCHERS.